This site was located near a gravel pit. 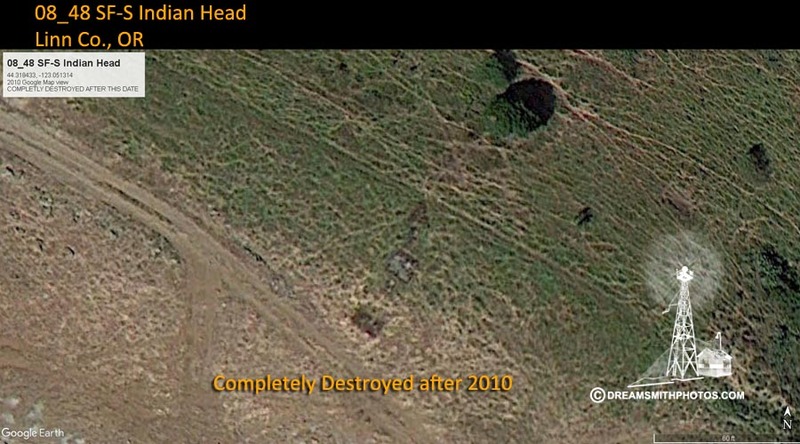 The above photo is from a 2010 Google View. It is the last time that this beacon site was shown. The gravel company removed the arrow during it's course of business. Too bad! I love the name of this arrow site. Airway Beacon No.48 is about 6-1/2 miles south-southwest of Brownsville, 6 Miles southeast of Halsey and 7 miles northeast of Harrisburg. The white light was intersected. Recovery Note By Defense Map Agency 1960 The mark was reported destroyed by loggers in the adjacent area.